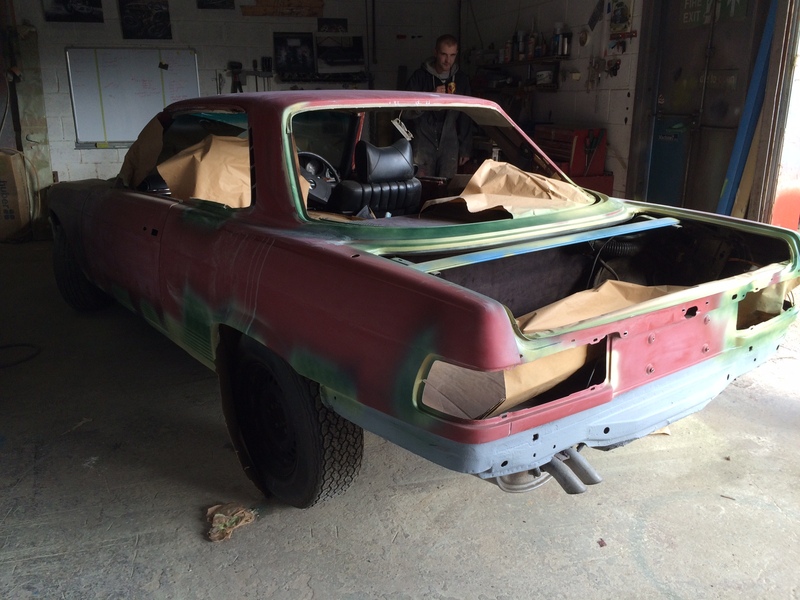 A little bit of paint bubbling can sometimes be a whole world of trouble. 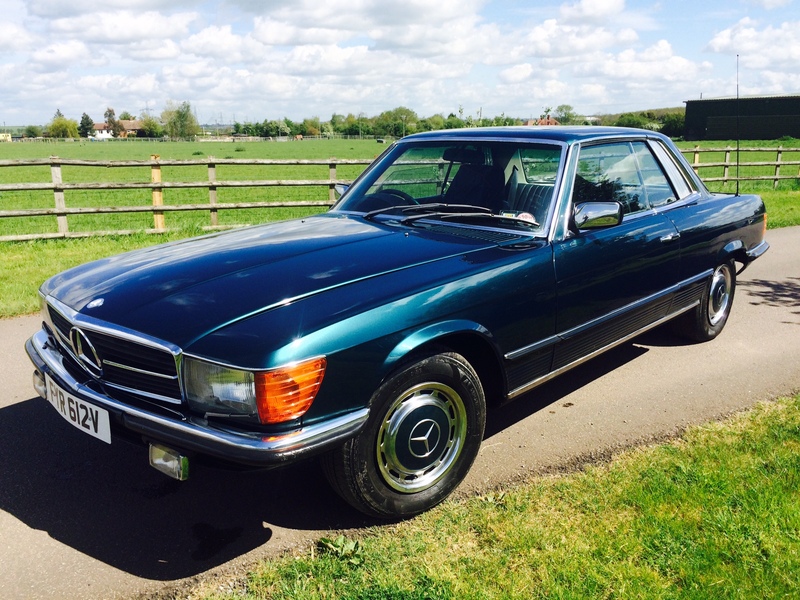 This SLC looked fairly good top side just a little bit of bubbling above the headlight, one wheel arch, under the window aperture and the standard rusted rear valance. There was also a hole in the boot floor corner and a couple of ugly patched on the sill panels. 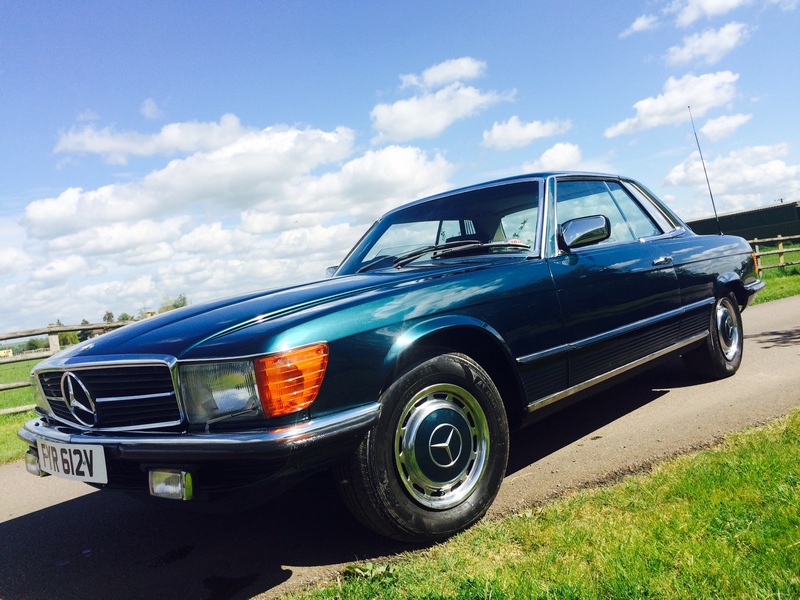 Once we started to take this Mercedes SLC apart the the problems just kept on coming. 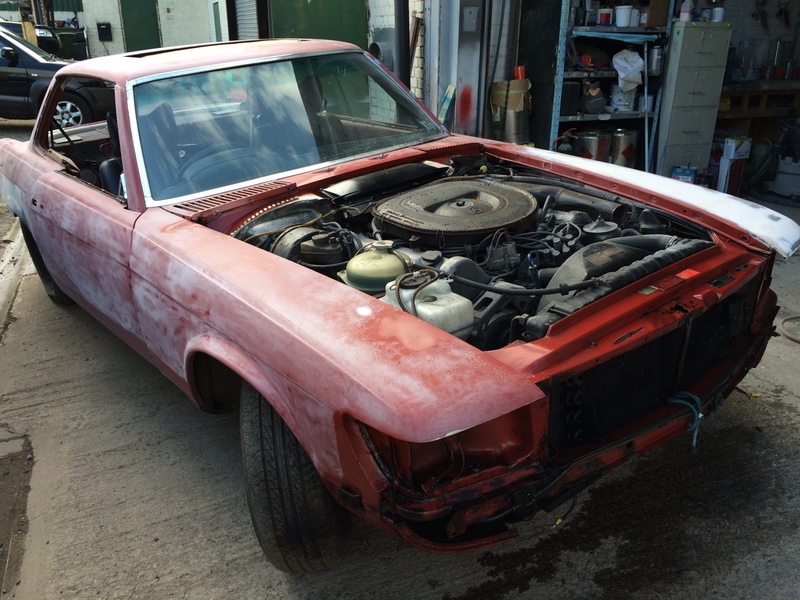 We uncovered a wealth of bad repairs and a whole pile of rot but the biggest problem with this Mercedes SLC is its market value. 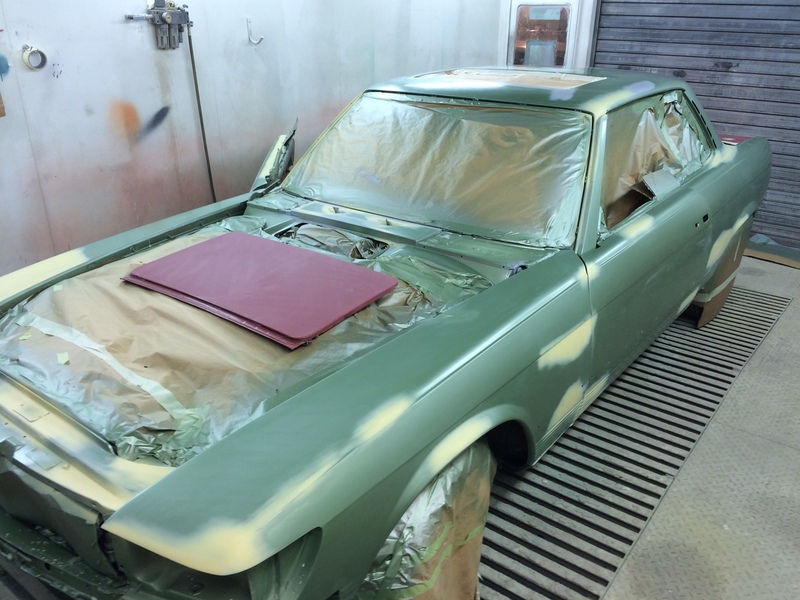 Spending thousands of pounds on a restoration is just not economically viable so we needed to get this car in shape on a budget. 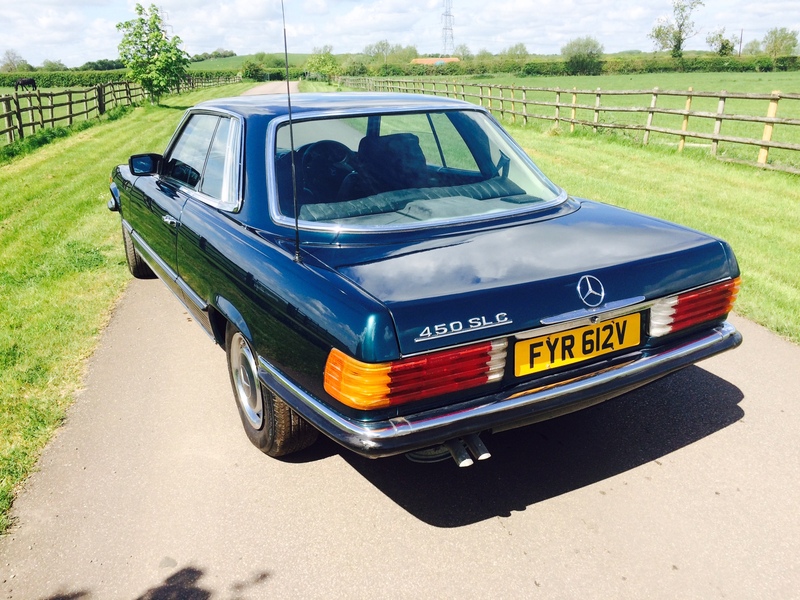 Unfortunately nothing for classic Mercedes are cheap so to help the client out we built the majority of repair sections with the exception of the replacement rear arch and the new Aluminium rear Valance. A selection or the areas that needed to be repaired. 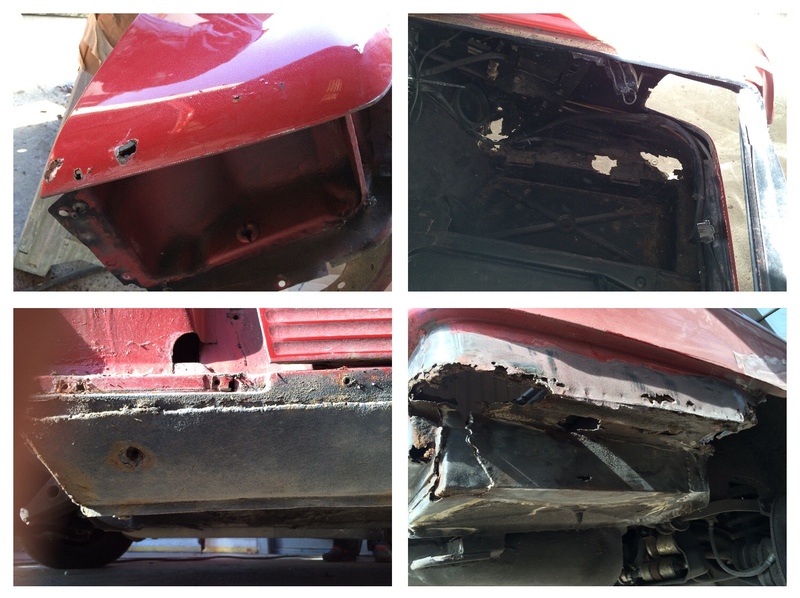 As you can see from the above pictures both sides of the rear needed considerable work. We made templates from the panels and fabricated the new parts, unfortunately I neglected to photograph the new sections which was a shame as they where very nice. 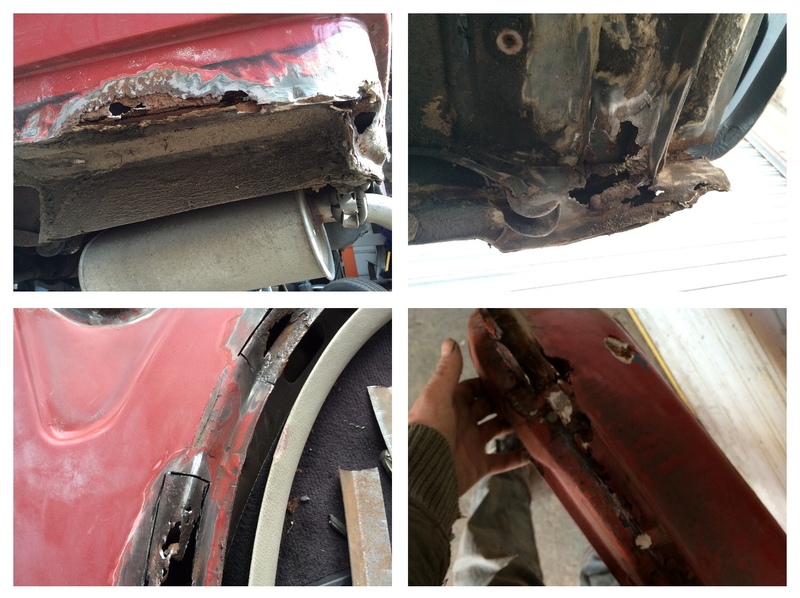 New Genuine Mercedes W107 SL rear wing welded in carefully and slowly to reduced panel distortion to both parts. All the grey areas have had significant panel work completed. The client was still in the process of selecting the final colour. 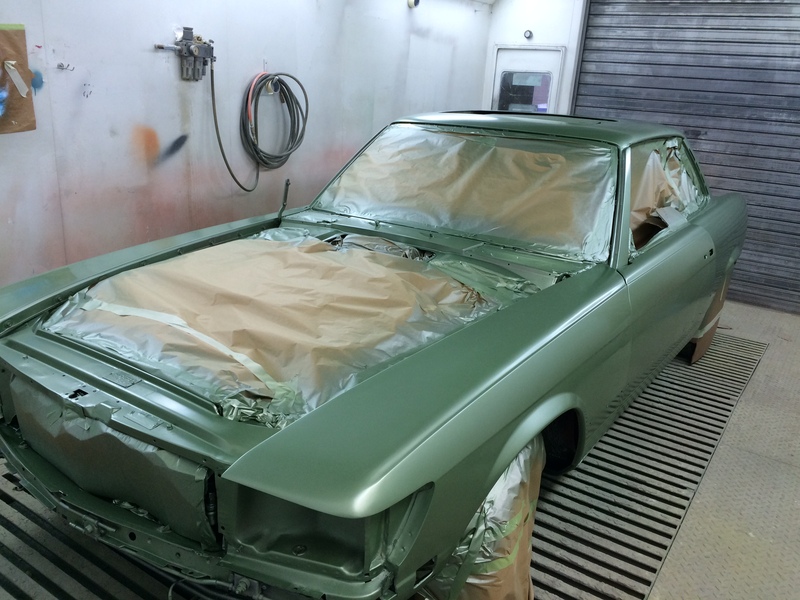 So to progress the project and to save the client some material costs we first painted the Mercedes W107 in some spare base coat green that we had in the bodyshop. This also the the added benefit of allowing us to see the reflections and how straight they ran along the body. 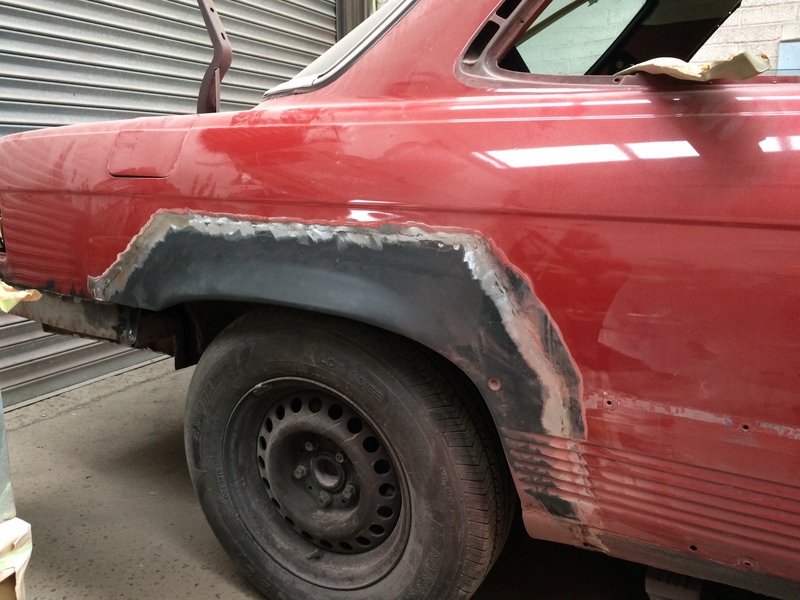 The freshly primed areas below are all areas of the body that still showed uneven body work or had paint reactions. Above is a close up of the clients final colour choice. 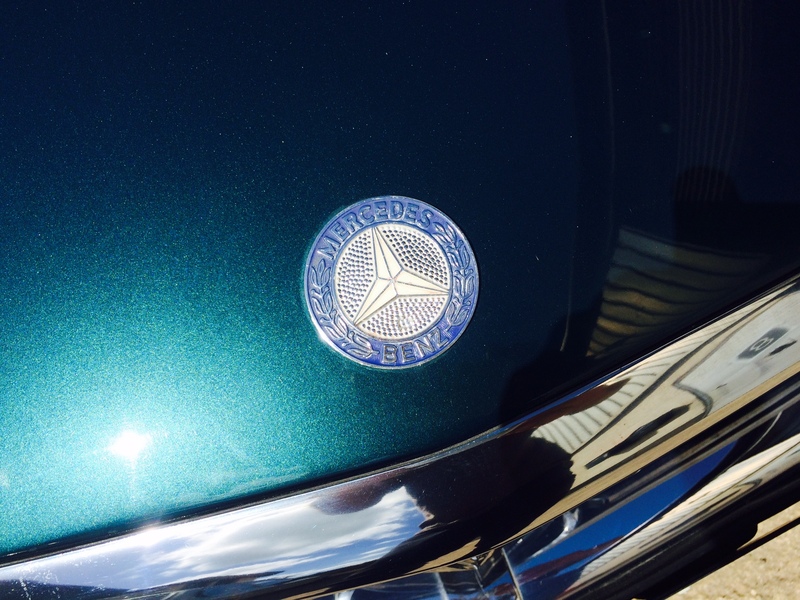 A Metalic pearl that subtly moves between dark blue in the shadows and a turquoise green on the highlights which actually suited the cars proportions and body lines very well. 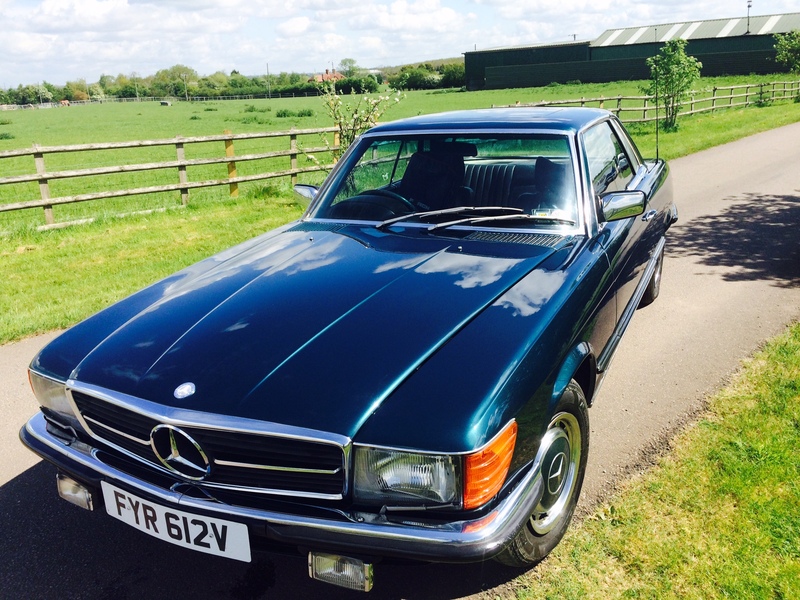 This entry was posted in Paint jobs and tagged flip paint, mercedes SL W107 restorer, Pearl paint job by The Paint Shop Pros. Bookmark the permalink.